A classic style that will never age. 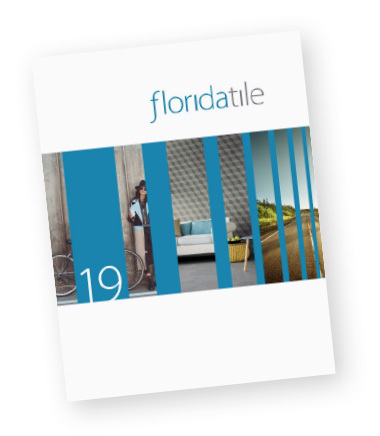 The Retroclassique series from Florida Tile is a unique glazed ceramic wall tile collection. The essence of old yet new, Retroclassique represents a classic style that will never age. The 3x6 subway tiles with large decoratives were a staple of Victorian, Georgian and Edwardian styles at the turn of the Century. Whether a regal mansion or urban Brownstone, the classic look was embraced then and still continues today. In the tradition of hand-molded tiles, Retroclassique features slightly rounded edges and corners, a soft undulating surface and a thick 9mm body. The product of several years of research, the result is a tile that delivers a message of luxury. Solid colors are kept classic with bright white (Lily) and almond (Linen). Along with these two classic colors, we offer four earthy tones created by using a fume’ technique giving each tile a unique pattern and natural color variation. Giving this line its true modern, yet vintage look are the decoratives. The two 6” long chair rail options are a large 4” and 2” high, respectively, while the listellos are a stylized floral motif and a circular repeating pattern that in multi-purpose, can be cut into 3 squares and used as an insert. This ample wall tile collection will give an added touch of elegance to your home or to your next design collaboration. With the exception of Lily and Linen, which both feature a V1 - Uniform Appearance.